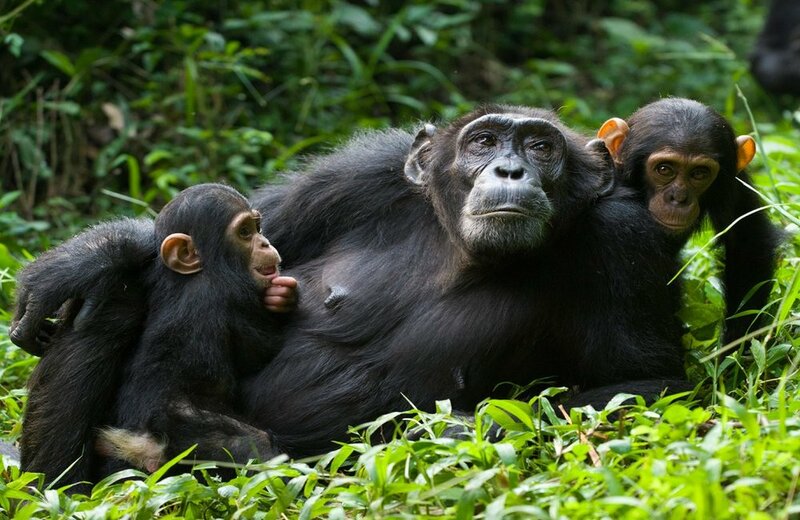 Enjoy Uganda Safaris | Uganda safari tour encounter with Uganda Gorilla safari specialist that can arrange your luxury or budget Gorilla trekking safari, Chimpanzee trekking Uganda safari, African cultural and birding safaris in Uganda, Rwanda or Congo with ease. We organize thrilling Uganda safari tours at unbeatable costs. Let’s Friendly Uganda Gorilla Tours customize your Uganda tours with a great attention to your safari budget and expectation. We arrange luxury, mid-range & budget Uganda safari to Bwindi Impenetrable, Murchison Falls, Queen Elizabeth, Kibale Forest, Kidepo national parks, among other destinations. When you are looking for a rewarding safari encounter to Rwanda or Uganda, choosing Friendly Gorillas Safaris shall be a decision you will live to appreciate. During your gorilla safari tour with Friendly Gorillas, you are accommodated in perfect lodges with unrivaled services that make your stay in Uganda undoubtedly amazing. Inquire today and we will send you the best offer for your preferred tour package. Our site offers solid data about Gorilla trekking and wildlife safaris in Uganda, Rwanda Gorilla trekking or Congo gorilla tour. Get useful and updated information about Uganda Gorilla safari costs, Uganda Gorilla families to trek, what to pack for your Rwanda, Uganda or Congo gorilla trek, the Best time to visit the mountain Gorillas, Mountain Gorilla diet, and Booking Gorilla trekking permit. 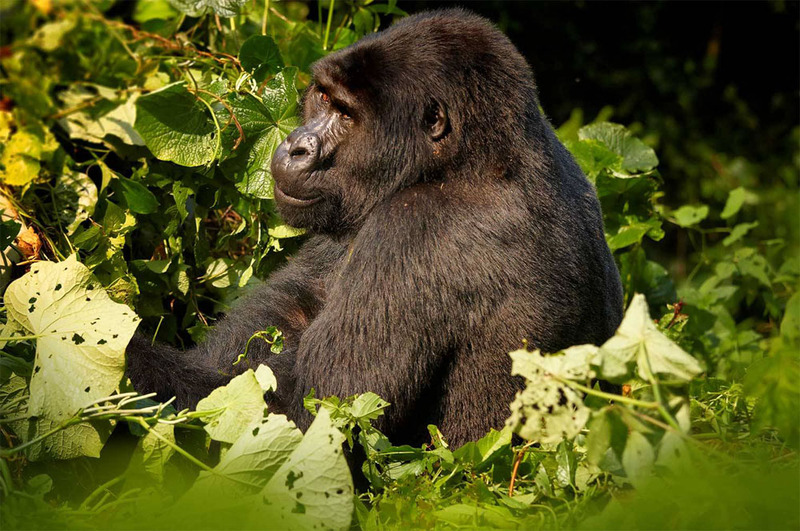 Check our Available: Uganda Gorilla tours, Rwanda Gorilla safaris or Congo safari packages. 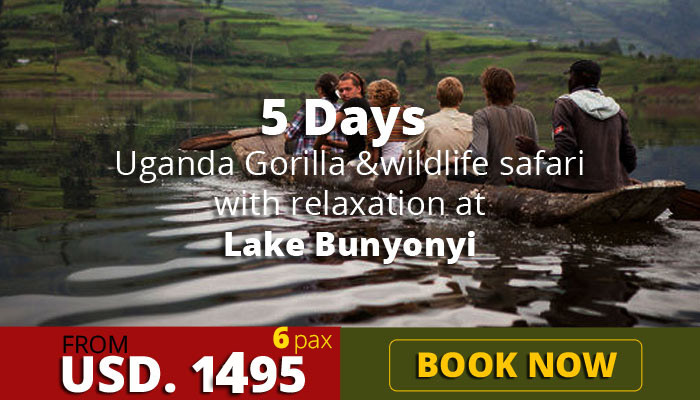 Enjoy Uganda at a glimpse as you enjoy Uganda Equator trip, meet the mountain gorillas and undertake a romantic and relaxing evening boat ride at Lake Bunyonyi. Enjoy Uganda at a glimpse as you encounter the thrilling mountain gorillas and Queen Elizabeth National Park for the launch trip on the Kazinga Channel. This 3 day gorilla adventure takes you to Parc National des Volcanos (PNV) in the North of Rwanda where about 300 mountain gorillas live. You can track gorillas. Enjoy impressive Uganda gorilla safari tour with fascinating encounters. 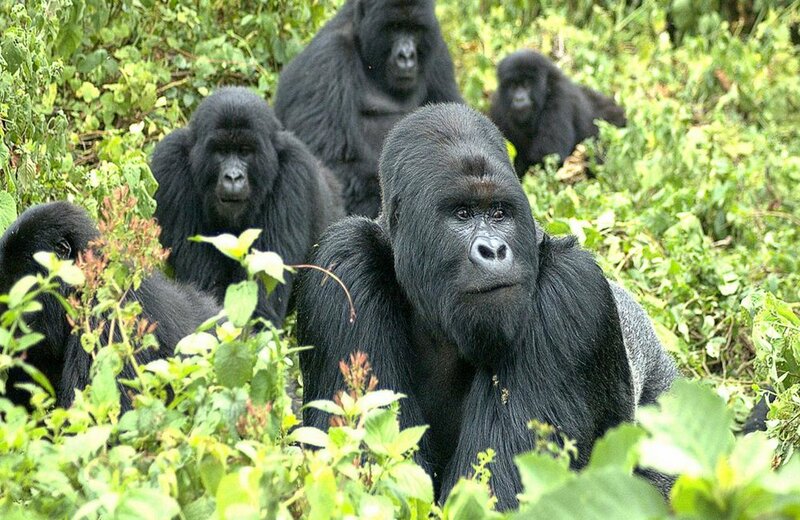 The tour takes you to the thrilling Gorillas of Uganda in Bwindi Impenetrable NP. This 8 Days Active Adventure Vacation features white water rafting & bungee jumping along the World’s longest river, River Nile. This tour takes you to meet the amazing Uganda’s mountain gorillas in Bwindi and also exposes you to Chimpanzee trekking. 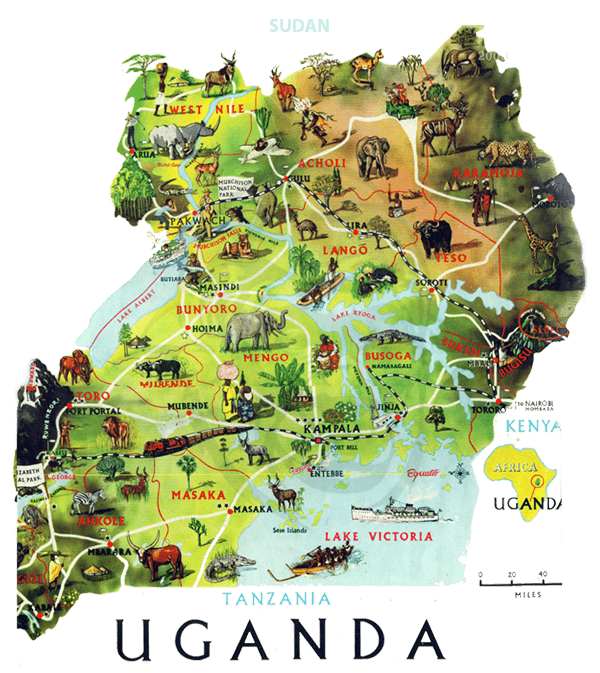 Welcome to Uganda – The pearl of Africa. 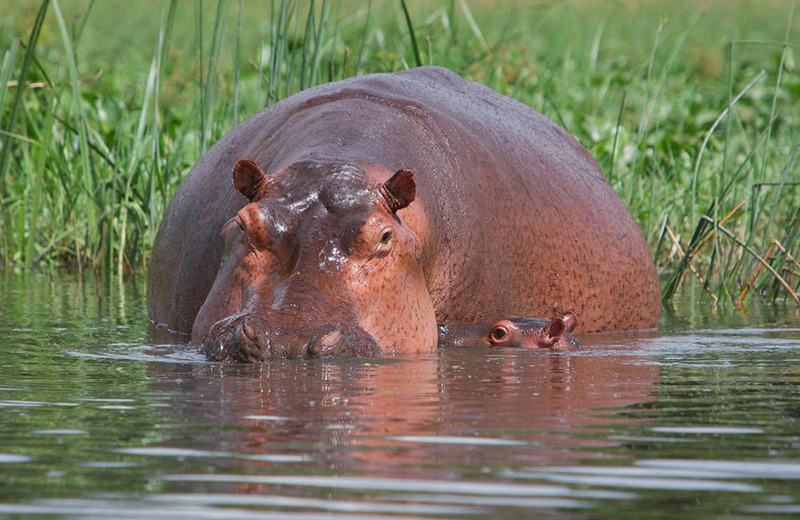 It is not surprising that Lonely Planet recognized Uganda as the number 1 African safari destination in the world. Uganda has not only more than half of the world’s mountain gorilla population, but also has vast and virtually virgin tracts of wilderness and culture that truly suits the adventure lovers. 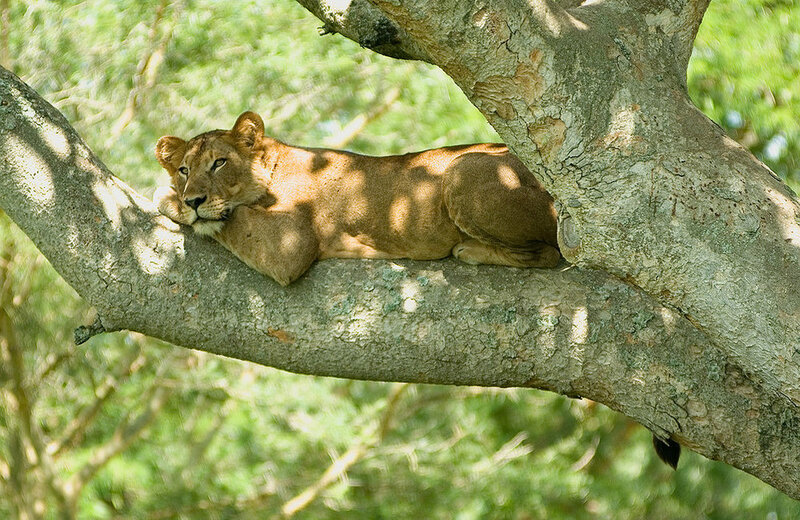 Uganda safari exposes you to dazzling destinations with remarkable encounters. Crowned the Pearl of Africa by Winston Churchill, Uganda reveals the true uniqueness of Africa. 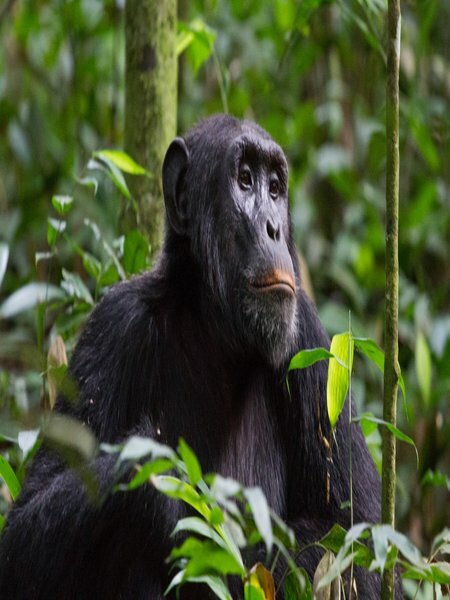 When in Uganda, you do not only have a ‘once in a life time’ opportunity to track the amazing endangered gorillas in Bwindi or Mhaghinga National Parks, but can also track chimps plus 12 other primates on Uganda’s National Parks safaris, pure BIG-5 safari experiences in lush savannah national parks, do mountain hiking, enjoy Grade-5 white-water rafting on the world’s longest river Nile, and authentic Ugandan cultural experiences as you meet the Karimojong people. Uganda is located on the equator and therefore green and very fertile. The variety in landscape is stunning and allows you to do so much more than only safari. 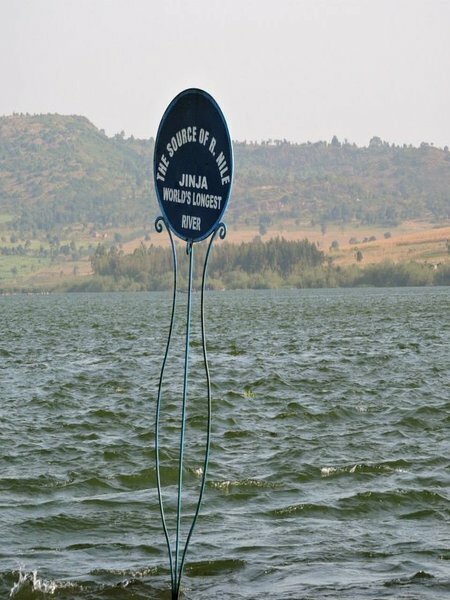 You certainly can’t miss out on visiting the wonderful lakes like Lake Victoria, Lake Bunyonyi and Lake Mutanda. Our distinctively crafted gorilla, wildlife or cultural tour packages and safari experiences will give you remarkable and memorable encounters as you undertake your family safari, adventure holiday, private or group tour, one-on-one researcher tours, highly adventurous expeditions and cultural safari experiences in Uganda. If you prefer an adventure holiday or a fun packed family safari in Uganda and want to visit specific destinations and encounter specific activities, our experienced and passionate Tour consultants shall prepare a suitable itinerary that beats your expectations. Book your Uganda tour with Uganda Gorilla tours and enjoy the fascinating experience in the pearl of Africa! 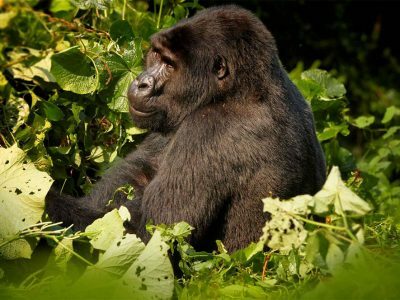 This 5 days Uganda gorilla trekking tour takes you to Bwindi Impenetrable Forest, in the west across the Albertine Rift Valley to meet humans’ closest relative, the gorillas. Gorilla trekking is a safari action in which travelers climb through the thick tropical rainforests of Bwindi, Volcanoes, Mgahinga as well as Virunga National parks looking for the endangered Congo, Rwanda or Uganda mountain gorillas. There are just three nations in Africa where you can go mountain gorilla trekking that is Uganda, Rwanda and the Democratic Republic of Congo. 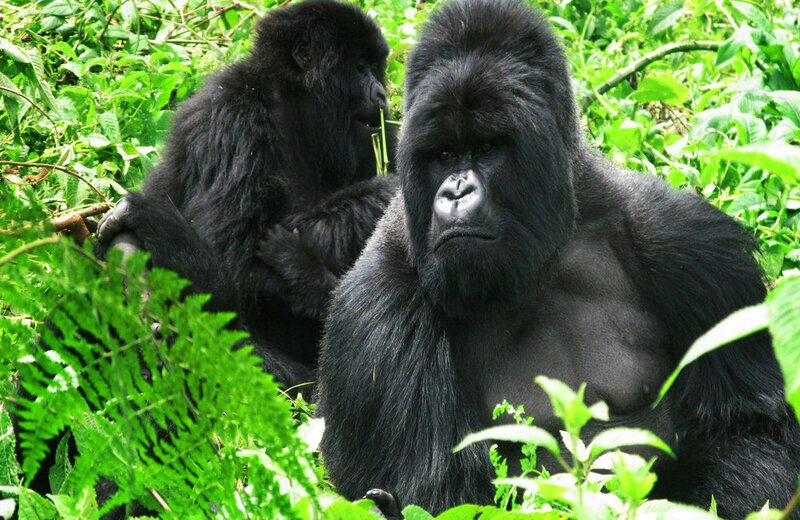 In order to do Congo, Rwanda Gorilla trekking or Uganda gorilla trekking, a Gorilla permit is required. This Rwanda, Congo or Uganda Gorilla tracking permits should be acquired ahead of time. How long does Uganda Gorilla tracking take? Uganda Gorilla trekking begins early in the day with brief guidelines by the ranger guides about the Gorilla trekking rules (Uganda Gorilla safari dos & don’ts), after which you are gathered into trekking groupings of 8 before a particular mountain gorilla family to trek is assigned to you. You at that point head into the thick forest guided by the park ranger guides, following the mountain gorilla family based on its last known location or where the gorilla group spent the night. The gorilla trek in Uganda or Rwanda can last from 30 minutes to 8 hours (3 fourth of the day) depending on how long it takes to find your assigned gorilla family, and you should in this way be prepared for mild adventure. Upon meeting your mountain gorilla family, you will be permitted a maximum of 1 hour with these gorgeous Uganda Gorillas, in which you will take photographs, watch the mountain gorillas and furthermore ask the ranger guide any inquiry concerning the gorillas. Whether in Rwanda or Uganda, Gorilla trekking has been portrayed by a few explorers as “an exceptional experience” and it should be on your bucket list of things to do in Africa. When is the best time to trek the Uganda or Rwanda Mountain Gorillas? Frequently travelers make the inquiry “when is the best time for Uganda Gorilla trekking?” The Mountain Gorillas of Uganda can be trekked throughout the year. However, given the cost of the Gorilla trekking permit (Rwanda Gorilla tracking permits at $1500 and Uganda Gorilla tracking permits at $600) everybody would need to travel during the time where they can get the best value for money and gorilla trekking experience. It is in this way vital to take note of that the drier months of June, July, August, September, December, January and February are the best for gorilla trekking. During this period the trek is exceptionally pleasant as it’s very easy to explore through the thick forests of the Bwindi Impenetrable Forest national park and the Volcanoes National Park, the parks are not dump and wet, there is less mist, and it isn’t extremely cool. However, it is additionally great to take note of that since these are tropical rain forest, now and again even in these dry months, there can be little rain. Then again, in the event that you are hoping to travel in months where there are discounts, Rwanda offers their gorilla trekking permits at $1050 for low season months. As for Uganda, take note that the low season discounts were disallowed off as of late. How much is the gorilla trekking permit in Uganda or Rwanda? In order to see the mountain gorillas, you are required to acquire the gorilla trekking permit. Friendly Uganda Gorilla Safaris Ltd will obtain for you this Uganda or Rwanda Gorilla trekking permit after you book your trip, and we will additionally be able to disclose to you availability of the gorilla trekking permits before you book the excursion for your planned travel dates. The Uganda Gorilla trekking permit costs $600 for foreign travelers, $500 for foreign residents, and 250,000 shillings for East African residents. 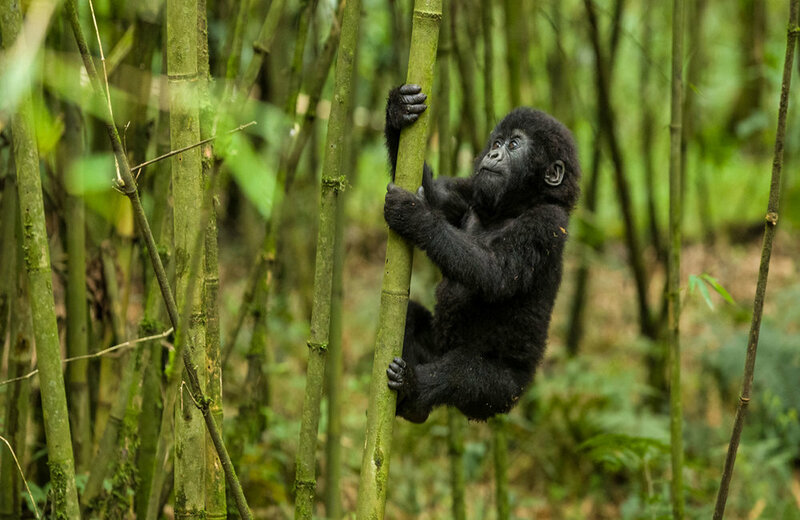 The Rwanda Gorilla trekking permit on the other hand costs $1500, and is accessible at a discounted fee of $1050 for low season months, and only in the event that you tour a few parks in Rwanda prior to your Rwanda Gorilla safari. Each country has an issuing body, in Uganda it is the Uganda Wildlife Authority (UWA) that issues the gorilla trekking permit, while in Rwanda it is the Rwanda Development Board. The Gorilla permits in Uganda authorizes you to trek the gorillas in Bwindi Forest National park or Maghinga Gorilla National park while for Rwanda permits, you trek the gorillas in Volcanoes National Park. Note that the gorilla trekking permit is valid only for the booked date. When should I book my Congo, Rwanda or Uganda gorilla trekking permit/tour? In the event that you plan to tour the gorillas in Uganda, Rwanda or Congo, it’s vital to book your gorilla trekking tour or gorilla trekking permit not less than 3 months preceding the gorilla trekking date. This is because gorilla trekking permits tend to sell out to fast especially in the high season months. Therefore, if you don’t book your Gorilla trekking tour on time, it’s normal for you to find gorilla trekking permits for the desired dates unavailable. However, note that in case you end up in a position where you need to book a very late Gorilla trekking safari in Uganda or Rwanda, don’t hesitate to get in touch with us. We usually have some reserved permits and still you can be fortunate to find some permits for your desired travel dates available. The Bwindi Impenetrable Forest National Park is home to half of the world’s mountain gorilla population, making it an awesome goal for your gorilla trekking tour. Situated in South western Uganda, the Bwindi national park is sub divided into four sectors, each having several habituated gorilla families accessible for you to trek. The four sectors of Bwindi are; Buhoma, situated in the north of Bwindi, the Uganda Gorilla safari park (likewise, Buhoma is the first sector to be opened for gorilla trekking), the Ruhija sector in the east, the Rushaga division in the south, and the Nkuringo sector additionally found in the south. The choice of sector to track the gorillas in Bwindi depends on several factors including availability of the gorilla trekking permits, choice of hotel, desired gorilla trekking experience and so on. 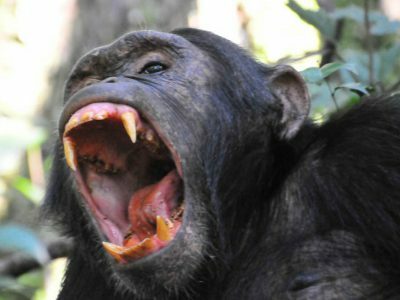 What is included in Rwanda or Uganda Gorilla Permit? The Gorilla permit permits you trek the mountain gorillas in the Bwindi Forest national park or Maghinga gorilla park or volcanoes national park. The trek in search for the mountain gorillas last from 1 to 8 hours depending on several factors like the location of the trek, altitude of the gorilla tracking sector, physical capacity of the trekkers, movement of the mountain gorillas and so on. However, after finding your specified mountain gorilla family, the gorilla trekking permit permits you spend a maximum of 1 hour with the mountain gorillas. It is additionally imperative to take note that part of the gorilla trekking permit fee is utilized to do gorilla conservation work, some is used to build infrastructures around the parks, and other portion is used to develop the neighboring communities. In this way when booking your Uganda gorilla tour, you are directly taking part in the conservation of these endangered species! The lowest age limit for gorilla trekking in Uganda or Rwanda is 15 years. However, under extraordinary conditions, we can acquire for your kid(s) the gorilla trekking permit if their physical appearance can be mistaken for fit, regardless of whether they are beneath the allowed age for gorilla trekking. There is no highest age limit for gorilla trekking in Uganda or Rwanda, and take note that we at Friendly Uganda Gorilla Safaris can organize you to trek shortest or easiest gorilla trekking group that last between 30 minutes to 1 hour of trek before observing the mountain gorillas for 60 minutes. Therefore, with Friendly Uganda Gorilla Safaris Ltd, you don’t need to worry about whether or not you will track the mountain gorillas. Simply get in touch with us and basing on the details you give us, we will design the best gorilla trekking trip for you! How long does a Uganda or Rwanda Gorilla trekking take? The trek in the thick tropical rain Forest of Bwindi, Mgahinga and volcanoes national park in search for the mountain gorillas can last from as short as 30 minutes up to 8 hours! The length of the gorilla trek depends on several factors including, though not limited to; the movement of the mountain gorillas, physical ability of the trekkers, the altitude and location of the trekking sector, the last known location of the famous mountain gorilla group being followed and so forth. The pace of the grouping is dictated by the slowest member in the trekking party as nobody is supposed to be left out. It is additionally vital to know that Friendly Uganda Gorilla Safaris Ltd can help you design a perfect gorilla trekking tour by helping you pick the best gorilla trekking sector depending on your strength, desired length of trek and experience. What is the cost of a gorilla trekking tour in Uganda? The cost of a Gorilla trekking tour in Uganda is determined by three fundamental factors – The choice of lodge, Means of transport, and the gorilla trekking permit fee. At Friendly Uganda Gorilla Safaris Ltd, we offer several ready-made and tailor-made Uganda Gorilla trekking Packages running from Budget, mid-range to Luxury. The cost of a budget gorilla safari in Uganda ranges from $450 US dollars to $550 US dollars per individual sharing (excluding the Gorilla Permit). Check our ready-crafted Uganda Gorilla safaris tour packages or get in touch with us to enable us customize a fascinating gorilla safari package just for you. You can contact us via Email or WhatsApp +256702767861 – Gorilla trekking in Uganda cost. What to pack for a Congo, Rwanda or Uganda gorilla trekking tour? Many times, clients ask us “what should I pack for the gorilla trek?” The appropriate response is straightforward, you require everything that can make your gorilla trekking experience charming and some of the stuff we recommend having in your packing list should include: Trousers, hiking boots, insect repellants, a hat if obtainable, sun glasses if available, garden gloves if accessible, and you may carry some energy giving foods (however take note of that you should not eat when with the mountain gorillas). 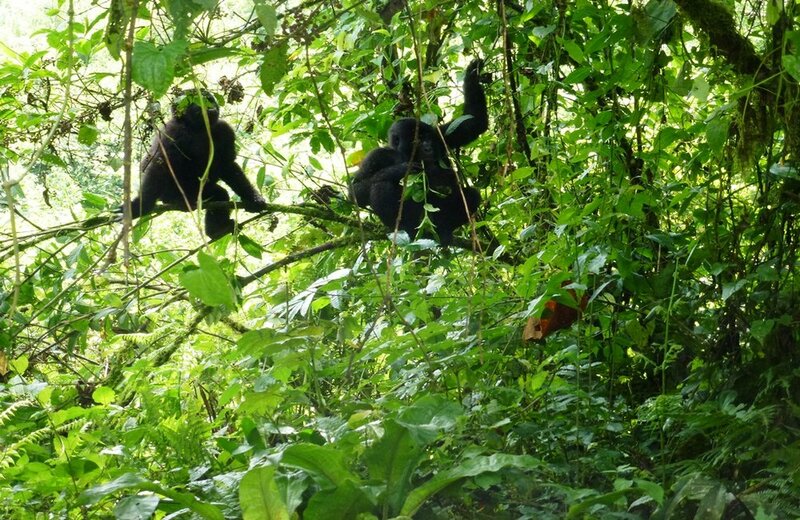 What are the chances of seeing the mountain gorillas during the gorilla trek? Many times, Uganda safari undertakers ask about the chances of seeing the mountain gorillas during their gorilla trekking tour. Whether you choose to go gorilla trekking in Uganda or Rwanda, there is around 99% chance of seeing these gentle and adorable wild giants, (the endangered mountain gorillas). 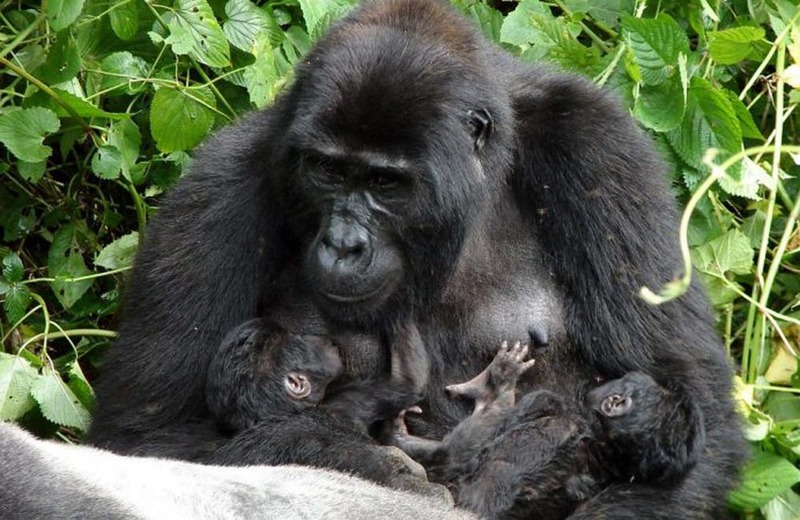 This is because the habituated gorilla families are closely observed, and the ranger guides are always in the know of the whereabouts of every gorilla family. Therefore even before you go out for the gorilla trek in the morning, the ranger guides always track the gorillas beforehand and you track them based on their last known location. Feel free to contact us at Friendly Uganda Gorilla Safaris if you are interested in finding out more information about the chances of seeing the gorillas. I need to see the Uganda gorillas via Kigali, is it possible? It’s extremely possible to tour Uganda, or the Bwindi Impenetrable forest for gorilla trekking safari through Kigali. The driving time from Entebbe to Bwindi is 10 hours, while the drive from Kigali to Bwindi is just 4.5 hours. 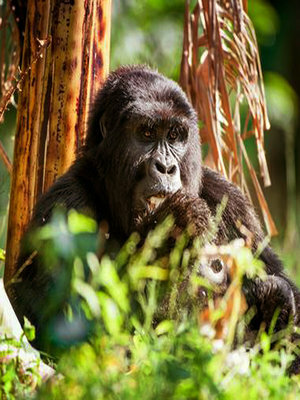 Therefore, numerous people from Rwanda safaris opt to tour the gorillas through Kigali. So, in the event that you are traveling to the Kigali international Airport in Rwanda, don’t hesitate to book your gorilla trekking tour with us. You can likewise begin your tour in Kigali and end in Entebbe and the other way round on the event that you have more activities you intend to undertake. (in case you need to visit something further than the gorillas). 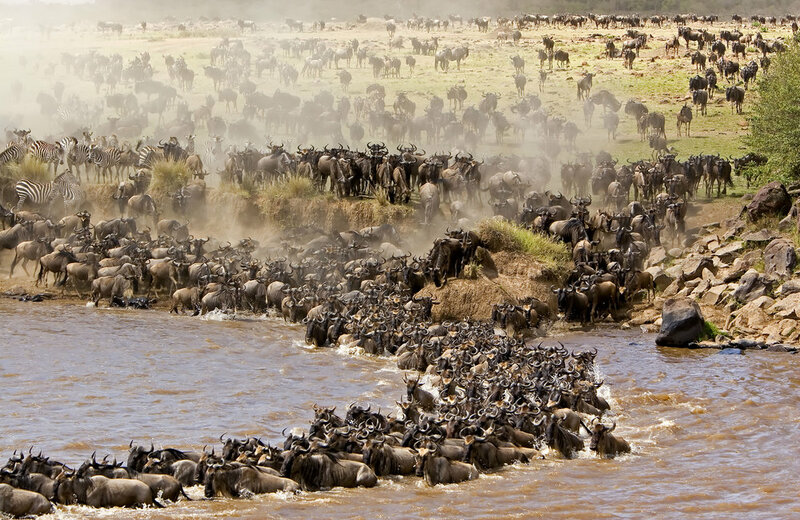 It should likewise be noticed that the East African tourist visa can permit you get to these countries with ease. The East African tourist visa costs $100, and we encourage you to purchase in case you anticipate to visit two or three east Africa countries of Uganda, Rwanda and Congo. Does Rwanda offer discounted gorilla trekking permits? Indeed, there are discounted gorilla permits accessible to see the mountain gorillas in Volcanoes National park. These discounted Rwanda gorilla trekking permits can be secured at $1050 for the low season months of May and November, however the main condition is that you spend three days in any other national parks in Rwanda (Nyungwe Forest national park or the Akagera National park). This is the only way you can earn discounted Rwanda gorilla trekking permit. It’s additionally essential to take note that currently, Uganda has cancelled the discounted gorilla trekking permits and thus, in order to see the mountain gorillas in Uganda, you need to part with a fixed fee of $600 for the Uganda Gorilla permit. When would it be advisable for me to book the discounted Rwanda gorilla permits? 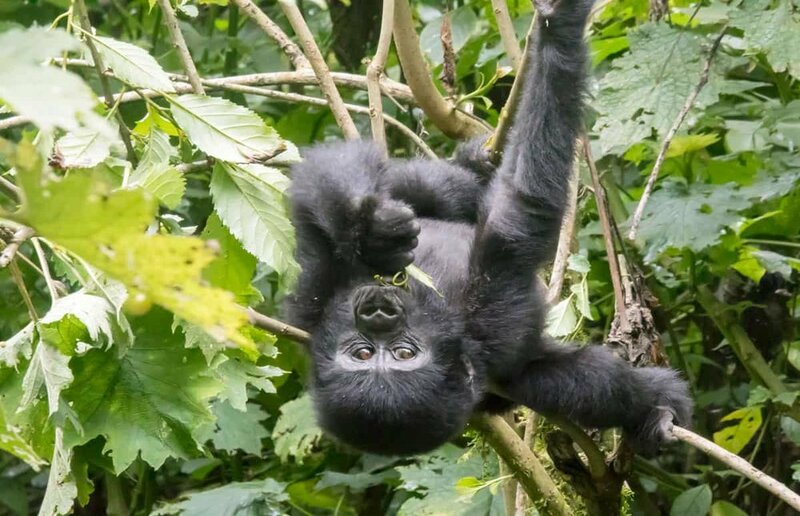 On the event that you are planning to travel in the low season months of May and November when the Rwanda discounted gorilla permits are at USD1050, we encourage that you book your excursion no less than two months ahead of time. This is because numerous people currently book their trip to Volcanoes National Park during this period. If you don’t mind get in touch with us at Friendly Uganda Gorilla Safaris to book your Rwanda low season gorilla trekking tour. Does Congo also have discounted Gorilla safari permits? Does DR Congo have discounted gorilla trekking permits? The Virunga National park is located in Democratic Republic of Congo and is one of the four National parks where you can go for a mountain gorilla trekking tour. The Virunga Congo gorilla trekking permits costs $400 dollars, nonetheless sometimes the park offers discounted gorilla trekking permits for $200. The Virunga National Park is however presently closed and will revive for business in 2019. Get in touch with us for more information about Gorilla trekking in Congo, Congo gorilla trekking permits and any other Congo safaris tours information you may need. How many people are allowed per gorilla family in Uganda? The predetermined number of people to trek/tour a mountain gorilla family for each day is 8. 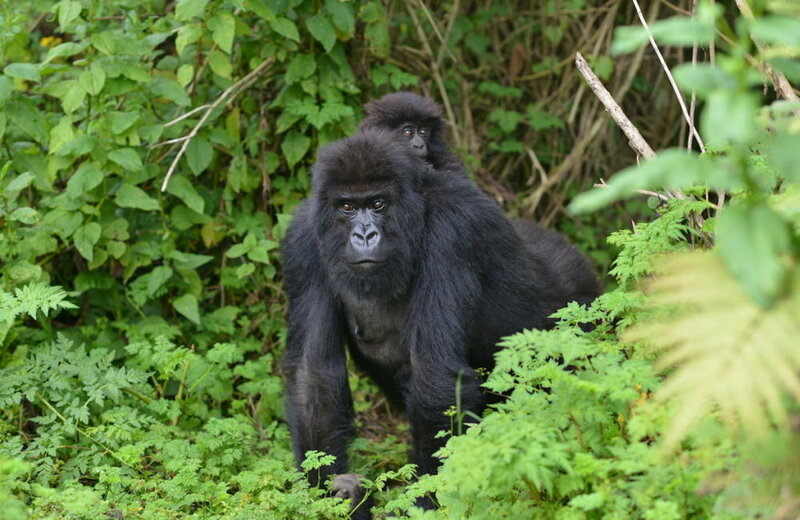 The Bwindi National park has 14 habituated Gorilla families which you can trek depending on the allocated gorilla trekking sector, Mgahinga Gorilla national park has 1 gorilla family open to trek, while Rwanda’s Volcanoes national park has 10 habituated gorilla families available to be trekked. On occasion, a group may have more than 8 people appointed, the Uganda Gorilla safari park warden explains this incase it happens. 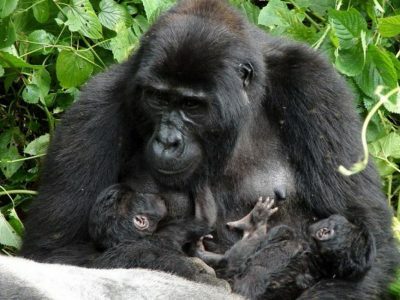 Then again, the highest number of people assigned to a gorilla family during the Gorilla habituation encounter is four. This is because the gorilla family groups being habituated are not used to seeing many people and may become aggressive if they feel threatened. So, if you want to spend more time or want to avoid interference from the many people when encountering gorillas, you definitely need to book a Rwanda or Uganda gorilla habituation encounter. Before gorillas families are made accessible for gorilla trekking, they are habituated by specialists and researchers at the gorilla parks. The term gorilla habituation implies that gorillas are gradually acquainted with human nearness, to such an extent that they end up used to human presence. This makes them less shy, and less aggressive therefore enabling all gorilla family groups to be tracked. Therefore, whether you are trekking gorillas in Uganda or Rwanda, a Gorilla habituation encounter is a longer version of the gorilla trek where you spend a maximum of 4 hours with the gorillas rather than only 1. The Gorilla habituation encounter was introduced in 2014 for gorilla enthusiasts to experience the procedure in which wild mountain gorillas are habituated (acquainted with human presence) to such an extent that they can be available for gorilla trekking. The gorilla habituation permit in Uganda costs $1500 USD, and just 4 people per day are permitted per gorilla family being habituated. When should i book gorilla permits? Gorilla trekking is one of the outstanding activities among others that you can undertake while on your tour to East Africa. For this reason, the Uganda or Rwanda gorilla trekking permits tend to sell out extremely fast. We therefore strongly encourage you to book your gorilla trekking tour 3-4 months early or even earlier prior to guarantee that your permits for the preferred travel dates are secured before they run out. It’s likewise imperative to take note that for the peak season months of June, July, August, September, December January and February, the permits typically get sold out and therefore just in case you are arranging your Uganda gorilla trekking tour or Rwanda gorilla safari during these months, you need to book the trip early. Do you have some other inquiries regarding Gorilla's? Do you have some other inquiries regarding Gorilla’s? On the event that you have some other inquiries concerning the mountain gorillas that you require replied, don’t hesitate to get in touch with us so that we can design the best Uganda gorilla trekking experience. We reply to your messages within the shortest time possible, and furthermore have a WhatsApp hotline +256702767861 in the event that you need quicker answers/talks. Experience tour consultants with extreme Trustworthiness. Tailor-made Uganda Gorilla safaris, Rwanda Gorilla safaris & Congo Gorilla Safaris with safari packages designed based on your requirements/safari needs. 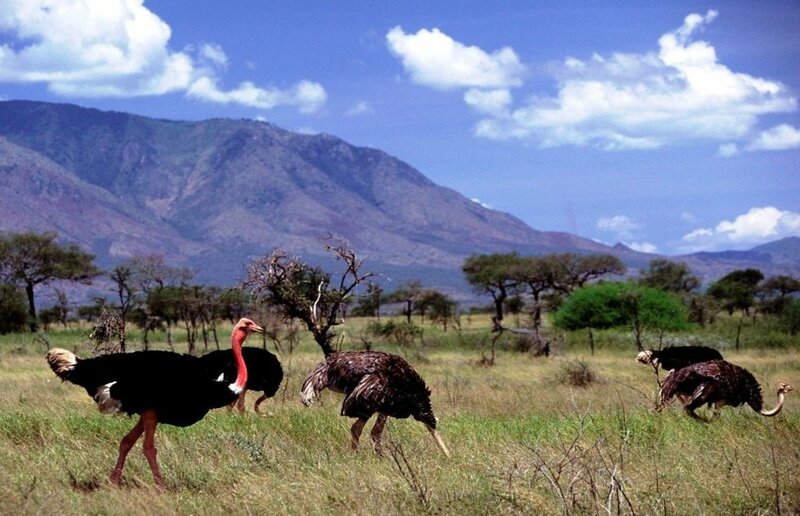 Best chance to explore East Africa in style. We arrange remarkable Wildlife & Gorilla Safaris to Uganda, Rwanda & Congo. If you believe that everything south of the Sahara is parched, yellow and dry, you are incorrect! Uganda is blessed with lavish rich forest and wildernesses whose encounters can’t be exchanged for anything. Take a Uganda safari and discover for yourself. The rich and luxurious wilderness which for the most part contain the rainforest is superseded by banana, tea and coffee plantation around the village making the lengthy drives energizing and truly remarkable. These rain Forest like Bwindi Impenetrable forest features more than 1,000 blossoming plant species and right around 200 unique sorts of trees, many of which are endemic. It is no big surprise that this valuable ecosystem is home to a mind blowing range of birds, butterflies and mammal species including some of the rarest creatures on the planet. Uganda has the friendliest people in Africa. The sight of a guest accelerates a smile on everyone’s face. 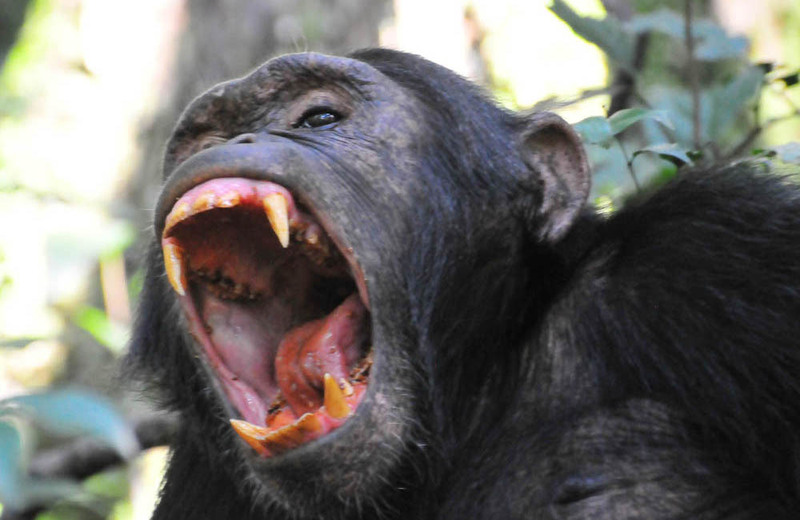 During you Uganda safari, these locals will show this by making proper acquaintance with you as they say hello and keep calling out Muzungu wherever you pass. This warm perspective about Ugandans can make any kind of visitor feel at home while in the country. 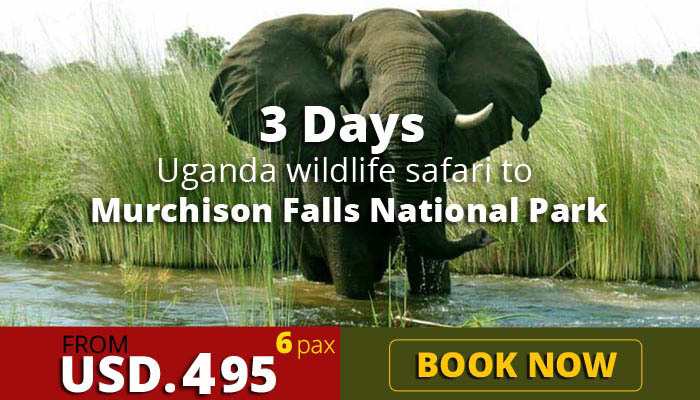 That is one incredible reason why you should plan to take a Uganda safari. 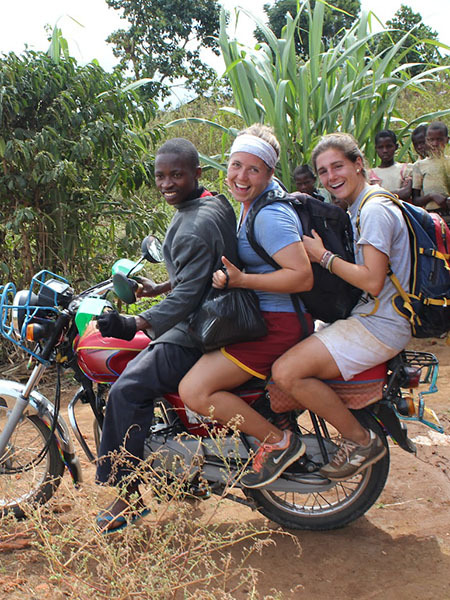 Each traveler who visits Uganda realizes that interfacing with the local people will ensure an extremely extraordinary travel experience as they will train you and give you a more extensive experience into their way of life and culture. You can undertake a Cultural safari in Uganda to further discover the fascinating culture of Uganda. Uganda has a fairly cheaper gorilla tracking permit prices as compared to Rwanda. Far from that Uganda has over 9 gorilla tracking families in the different regions of Rushaga, Buhoma, Ruhija and Nkuringo in Bwindi Impenetrable Forest National Park and one family in Mgahinga Gorilla park. This makes it easier to find gorillas in Uganda as compared to other destinations. Need assistance planning a custom-made trip?